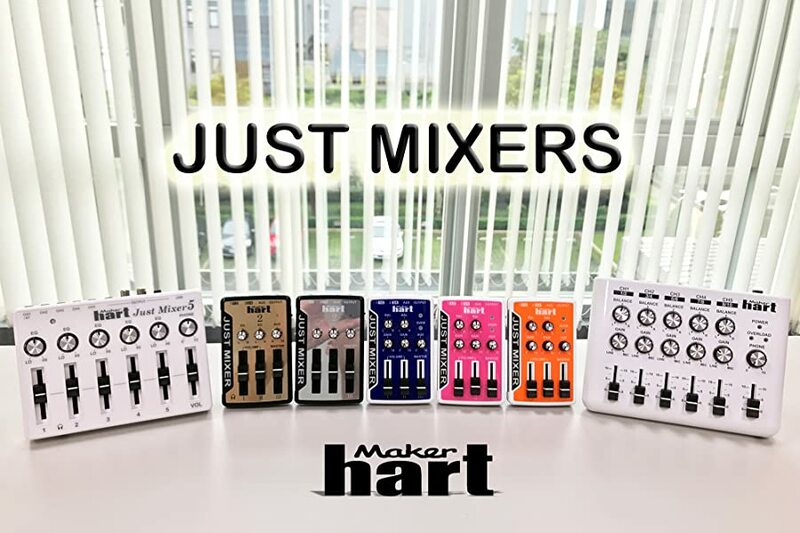 Designed by professional sound equipment makers to fulfill a need that has yet to be met, the JUST MIXER by Maker Hart is a simple mixer without too many bells and whistles. However, it is perfect for those who need a reliable and accessible option to combine audio from up to 3 devices (smartphones, tablets, computers, MP3 players, Amazon Echo/Dot, game consoles, microphones, instruments, etc.) and output to a single set of headphones or speaker. With 3.5mm input jacks, you can easily connect your devices with AUX cables, and then adjust each input separately. Powered by either batteries or micro USB cable, this portable mini mixer can be used just about anywhere, including while on the go and in the car. Besides personal workstation use, the Just Mixer can also be used by musicians, DJs or audio technicians to monitor audio output, The Just Mixer can save you from lugging around heavy equipment and can be used in most settings, be it a home recording studio, street venue, music club, or anywhere you'd like to perform or record. It is also ideal for combining different sound inputs in webcasting on Facebook Live, Youtube, and other live streaming platforms. 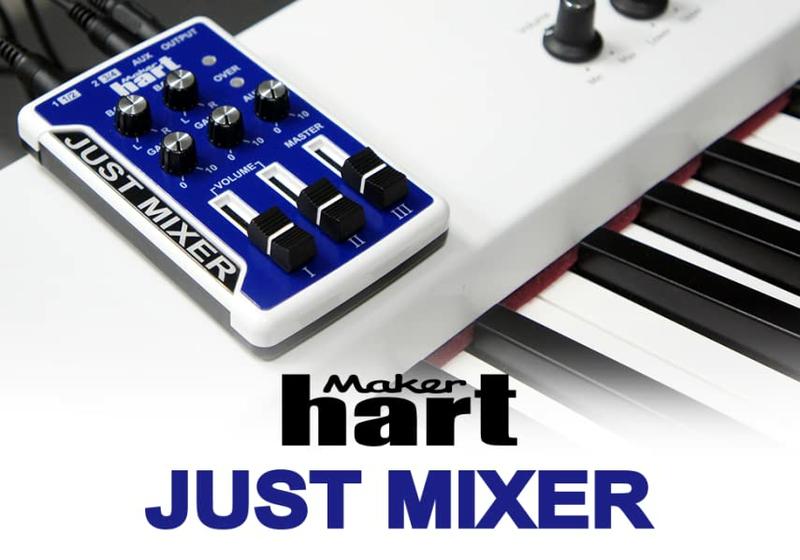 ***Please visit Maker Hart website -> Product -> Just Mixer to watch videos on how to use Just Mixer with keyboard, smartphone, microphone and Amazon Echo Dot. Low batteries are a common source of noise. If noise is heard, please try changing to a USB charger or power supply or using fresh, high quality alkaline batteries that can produce 1.5V (rechargeable batteries that produce less than 1.5V may not work). If you wish to power the Just Mixer using a USB power bank, we recommend the EnergyFlux HEF. Other power banks may not work because the Just Mixer takes very little power and most USB power banks will shut off automatically when too little power is drawn. First increase the volume setting on your input device, then gradually increase channel volume. Use the mixer's gain knob sparingly. Only increasing volume settings on the mixer may cause a high noise level. For extended use, we recommend using USB power. Batteries last 8 to 12 hours, and possibly less with higher gain applications such as acoustic electric guitars. Additional static noises may arise due to interference from other connections in close proximity. Do not power mixer from a charging hub that also powers other devices, especially if those devices are also plugged into the mixer. Weight & Dimensions: 3.2oz; 2.7 x 4.1 x 0.9"